November 8 - December 1, 2018. Opening Reception Thursday November 8th, 6 - 8pm. 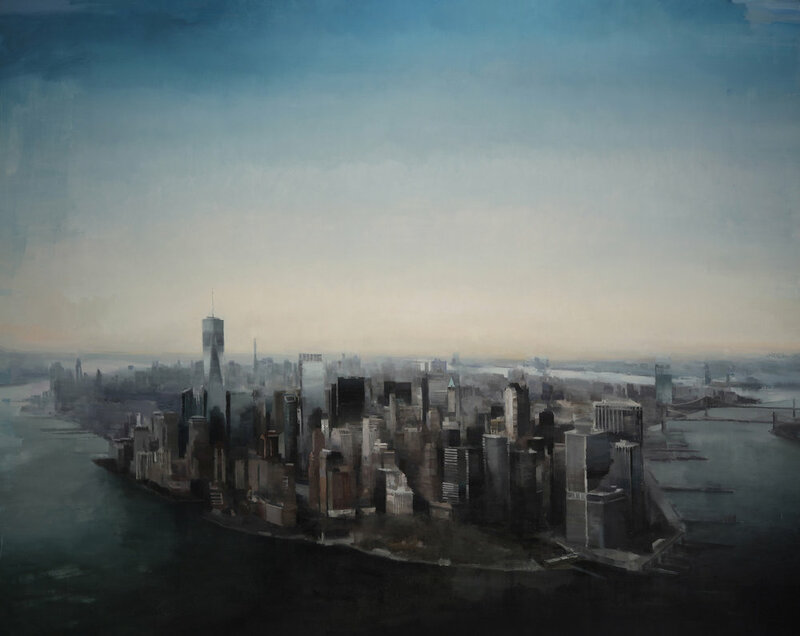 Artist Kim Cogan returns to the altered and familiar landscapes of New York City in his first solo exhibition at Gallery Henoch in seven years. His new body of work reflects Cogan’s many reencounters with the city, merging both observed and remembered perspectives. Paintings such as View from Pearl Paints and Dumbo at Dusk harken back to a previous reality, recognized only by some. Perpetually grounded in his explorations of the city, his paintings recall a progression of locations studied—from street-level alleyways to rooftop panoramas. Cogan’s brand of realism is characterized by an atmospheric intentionality. Figures do appear in the work, as in Man on a Street Corner and Passenger, but Cogan’s use of light, color and contrast also suggest narrative elements. In Plan B and Fifth Avenue, he situates our gaze purposefully to evoke a sense of unknown curiosity.